Which pet owner would not want a healthy and long life of his pet? Naturally, everyone would want to. But the question is how? Is healthy really only about being disease free? What is the best diet for your doggy or kitty? Are supplements really that important for the health of pets? Is it important to give timely vaccinations to your pet? These are some of the questions asked by concerned pet owners to their veterinarians. In today’s information age, it is very easy to get information through internet, books and magazines. 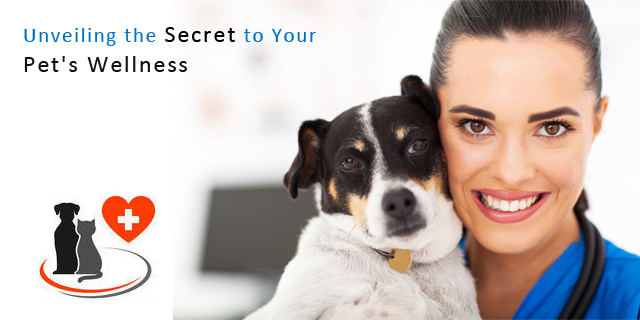 So why do you need to consult with a trained professional for the health of your pet? The answer is that these professionals use their experience to try and find out the best possible thing for your pet according to the specific situation and environment faced by him. One such guiding force is your veterinarian who conducts general check-up of your pet and takes into account their past history along with their detailed information. They also try to understand your household, number of pets and children in it, the pet’s health history, preference and sensitivities. You can even share your observations and concerns. After getting the comprehensive details your veterinarian would be able to form a mental picture of your pet as an individual who may be old or young, lean or heavy, prone to skin or intestinal problems, living indoors or outdoors etc. Based on the information, your veterinarian will make the decision looking at the big picture. For example; if your pet is undergoing weight issues, he/she will contemplate on whether their diet should change and if yes; then to what? The overweight pet may require more of a regular exercise than a diet change. This will be considered by your veterinarian. If your pet is underweight then your veterinarian will carry out blood tests to rule out thyroid problems. If the correct diagnosis is missed out, it can create sabotage that can jeopardize your pet’s health. The elementary thing that your veterinarian will do is to rule out any organic disease and then start with the diagnosis. Then he/she will make a list of the most significant things like supplements, things to be considered and things to neglect. Your veterinarian will use all his/her experience to protect your furry companion from illness and other side effects of any drugs. He/she will also guide you on how to read the symptoms of your pet and monitor their progress. Once you understand the problem with your pet you can use other sources like web research or library searches to get more information on the topic. The veterinarian will also tell you about the best food that needs to be fed to your pet. He/she will also tell you the part of food that can be shared with your pet. You will also come to know about reading pet food labels from the scratch on the canned pet food. He/she will assist you in finding the best food for your pet according to their needs and lifestyle. Along with regular pet food you can also give them fresh, raw vegetables or organic organ meats included in the pet supplements so that they can enjoy additional health benefits. Vaccinations also need to be given on an adequate basis as over vaccination can harm your pet. Nowadays, due to advancement in technology you can have the antibody levels of your pet tested rather than automatically giving a booster vaccine that may not be the need of the hour. Hence, vaccinate the pet only when the risks outweigh the benefits. Assist your pet in grooming and bathing. Provide a clean bed, fun toys, fresh air, socialization and obedience training to your pet which all in all contributes to their overall well-being.